Women and Leadership is a 2-day, experiential conference for women leaders. Building on pre-work the participants complete the Hogan Personality Inventory (HPI), attend the conference to discuss how women can maximize their strengths and build their skills to become effective leaders and participant in a one-on-one feedback session to develop an individual development plan (IDP). Research studies have shown that companies with a sustained high representation of women — that is, three or more women board directors in at least four of five years — significantly outperformed those with no women board directors. Statistics like this prove women have the skills to not only take on top leadership positions but to also have an impressive impact on their organization’s success. Still, we rarely see women in higher positions of power because the reality of the glass ceiling is all too real. There exists a multitude of challenges preventing women from reaching higher-level positions; including preconceived notions of a woman’s working ability as it relates to a societal and organizational context and from an internal context — or rather, those self-imposed barriers women place on themselves. 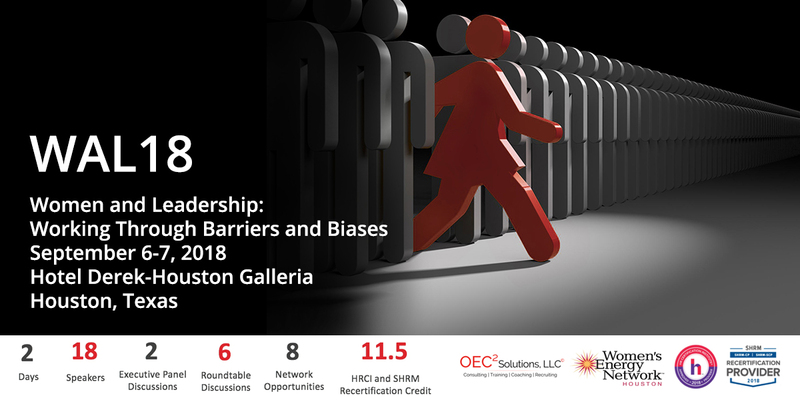 Women and Leadership: Working Through Barriers and Biases identifies the specific challenges imposed on women in the workplace and provides an in-depth look at how they can combat these obstacles to maximize their strengths — helping not only women but all professionals and organizations as they work to build the leadership skills of their employees. • Understand the challenges that women face as they pursue leadership positions. • Assess limitations that women place on themselves. • Build skills that enhance your development as a leader. • Develop and manage relationships to maximize your leadership potential. • Recognize special issues women leaders face when they interact with others. • Use your natural strengths to build and maintain a strong team. • Implement a plan to target the leadership skills you most want to improve. • Identifying organizational, societal, and self-imposed challenges. • Knowing and showing your true self. • Developing strategic relationships by building operational, tactical, and personal networks. • Using proactive steps to find a sponsor. • Learning how to exhibit executive presence. • Understanding how to remain poised and composed in stressful or negative situations. • Developing the ability to think on your feet. • Establishing influence and tactics for effective negotiation. • Homing in on the ability to build and maintain strong teams. This conference has been approved for 11.5 PDCs for the SHRM-CPSM or SHRM-SCPSM recertification credit hours.